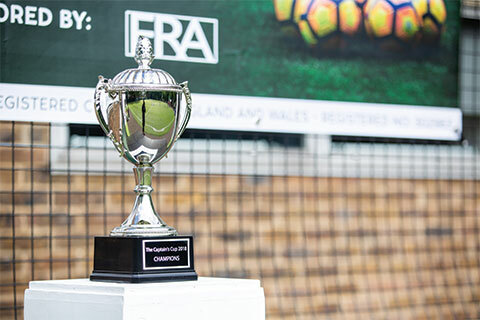 FRA is proud to have sponsored The Captain’s Cup on Sunday 10 June, an inter legal firm football tournament in aid of the children’s charity Coram’s Fields. Coram’s Fields is a children’s charity that serves as a safe place for all children to play and provides services for all young people, both from the local community as well as for those visiting the area. The charity offers a seven acre playground, sports and after school programmes, youth centre, nursery and small farm. Eight leading law firms took part in The Captain’s Cup tournament. The participating firms were: Freshfields Bruckhaus Deringer, DLA Piper UK, Forsters, Reed Smith, Hogan Lovells, Simmons & Simmons, Herbert Smith Freehills and Payne Hicks Beach. A fantastic £8,000 was raised and will go directly towards Coram’s Fields work supporting local children and young people. Thank you to all the law firms that took part and congratulations to the winners, Freshfields. Read more about Coram’s Fields here.